Daniel Crawford has long admired the tree that stands alone on a hilltop, two farm fields away from his modest home in a sprawling neighborhood. But despite the tree’s alluring qualities, Dan never attempts to see it up close, until a devastating loss leaves him angry and frightened and grasping for peace. Finally standing beneath the giant white oak, he takes comfort in its majesty, and encounters an unlikely friend. Walter Benning is a wise, quirky, endearing farm owner. And his scholarly insight provides a fresh perspective that contradicts Dan’s drive to ascend the corporate ladder while bolstering his resolve to fight for his crumbling marriage. Although enticed by Walter’s wholesome humility, Dan continues to crave executive status and moreover struggles with violent memories, an abusive father, and recurring encounters with a suspicious stranger. Meanwhile, Dan’s wife clings to signs of positive momentum, dreading divorce and safeguarding news that will forever alter their family. 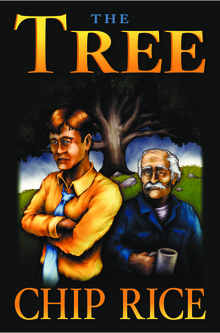 Through a series of trials, Dan draws closer than ever to Walter, eventually disclosing his most guarded secrets and taking seriously his mentor’s Christian world view. But then a dark chapter from Walter’s past is unveiled, leaving Dan to wonder: Has the revelation diminished Walter’s credibility, or only added to it? As he struggles for answers, Dan’s fragile family, emerging faith, and masculine identity hang in the balance. And in the midst of it all, when his father presents an extraordinary job opportunity, Dan’s changing heart leads him full-throttle down a road of imminent confrontation. Seasoned with suspense, THE TREE is a redemptive, heartwarming tale of one man’s quest to become the husband and father his family so desperately needs.